1. 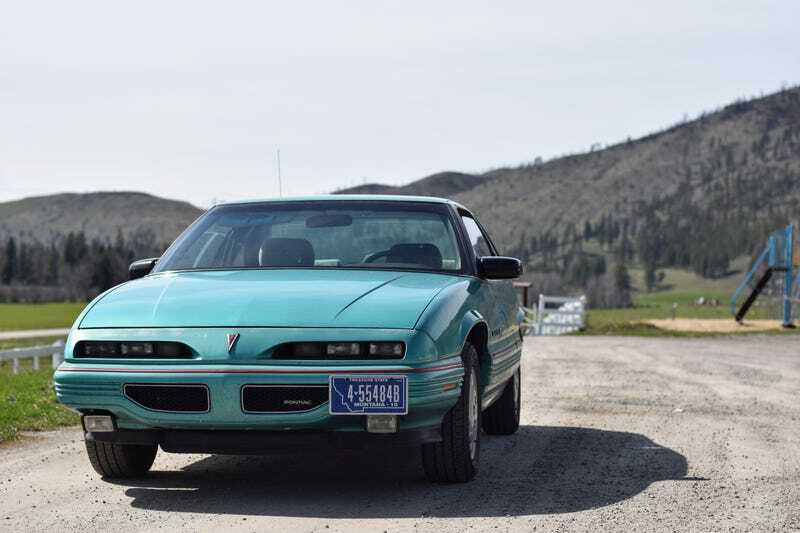 1991 Pontiac Grand Prix SE Coupe. Things currently broken: both fog lights, one headlight, driver’s door handle, passenger door handle, cassette deck, power locks (kinda), steering wheel mute button, steering wheel AM/FM button, fuel gauge, oil gauge, engine makes weird noise when cold sometimes, and it needs two keys, which isn’t something broken, I just think it’s stupid. Other than that, best $1,150 I ever spent.